George S. Day is the Geoffrey T. Boisi Professor, Professor of Marketing and Co-Director of the Mack Institute For Innovation Management at Wharton School of the University of Pennsylvania. He was previously the Executive Director of the Marketing Science Institute. He has been a consultant to General Electric, IBM, Metropolitan Life, Unilever, E.I. DuPont de Nemours, W.L. Gore and Associates, Boeing, LG Corp., Best Buy, Merck, Johnson & Johnson, and Medtronic. He is the former chairman of the American Marketing Association. His primary areas of interest are marketing, innovation management, organizational change, and competitive strategies in global markets. 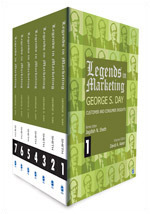 Dr. Day has authored 18 books on marketing and strategic management. His most recent books are Peripheral Vision: Detecting the Weak Signals that Can Make or Break Your Company (with Paul Schoemaker) 2006, Strategy from the Outside-In: Profiting from Customer Value (with Christine Moorman) 2010, and Innovation Prowess: Leadership Strategies for Accelerating Growth, 2013. He has won 10 best article awards and one best book award, and two of his articles were among the top 25 most influential articles in marketing science in the past 25 years. 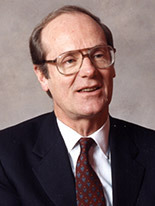 He was honored with the Charles Coolidge Parlin Award in 1994, the Paul D. Converse Award in 1996, the Sheth Foundation award in 2003, and the Mahajan Award for career contributions to strategy in 2001. In 2003 he received the AMA/Irwin/McGraw-Hill Distinguished Marketing Educator Award. He was chosen as one of eleven Legends in Marketing in 2011 and was inducted into the first cohort of AMA Fellows in 2015.